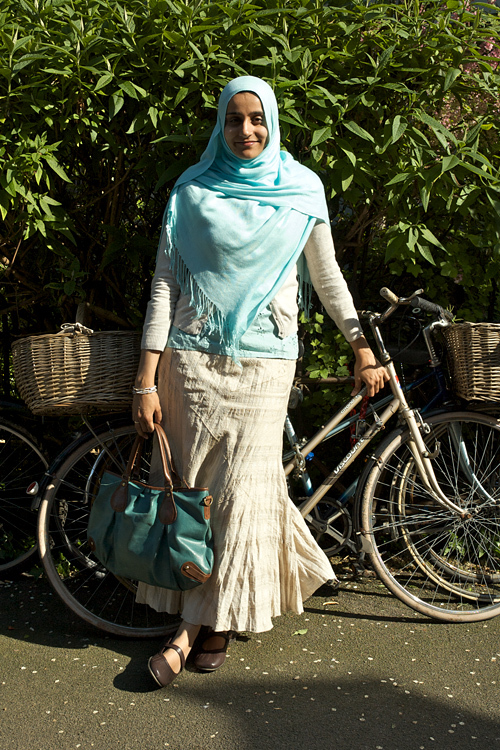 Mashallah, what a beautiful summery look, the soft muted pastel shades with a lively splash of blue - clean and simple. I especially love the old school background and her casual yet confident pose - good job girls. and i like the smile! mashaallah! I AM LOVING THE BAGGGGGGGGG !! i WANT IT!! Where did you buy it from?????????????? i want those shoes! so cute! Really like this look - nice bag! really cute summer type outfit! love the handbag and pose. the colors are really simple, soft.